And this made us burst into laughter again. I didn’t tell you whole incident because I don’t want to point hypocrisy of our Indian society. And if I start talking on other topics, it will be a long post. I told you this story because I want to know whether eggs fall in category of vegetarianism or not. And what do you mean by eggetarian? Eggetarian means a person who is a vegetarian but also has eggs in his diet. Technically speaking eggetarian is form of lacto-ova-vegetarian which means anyone who is vegetarian and also have diary products like milk, cheese, honey etc in his diet. Diary products which are obtained from animal without harming them. 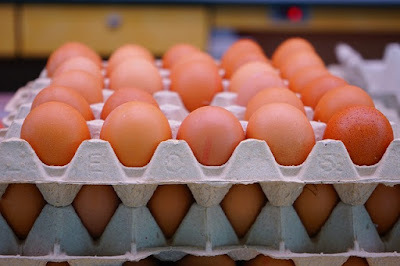 And eggs are obtained from hens without harming them. So if we go by technical definition, egg counts as a vegetarian food, but if we go by Indian societal drama, egg counts as non-vegetarian food. I think, it depends on you, whether eggs are vegetarian or non-vegetarian. But I think its okay to stick with term EGGETARIAN for political correctness.